Every face tells a story. 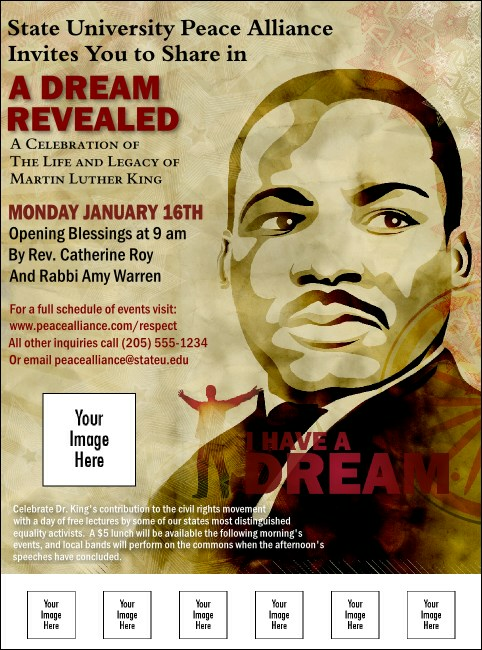 With the famous face of the Reverend Dr. Martin Luther King, along with spaces for seven more images to help honor speakers, scholars, and other supporters, this Martin Luther King Flyer helps you tell the story of your upcoming event. Twenty lines of text help you fill in the details. Last minute orders? No problem with TicketPrinting.com's fast service.